The Fish and Wildlife officer may be cute! 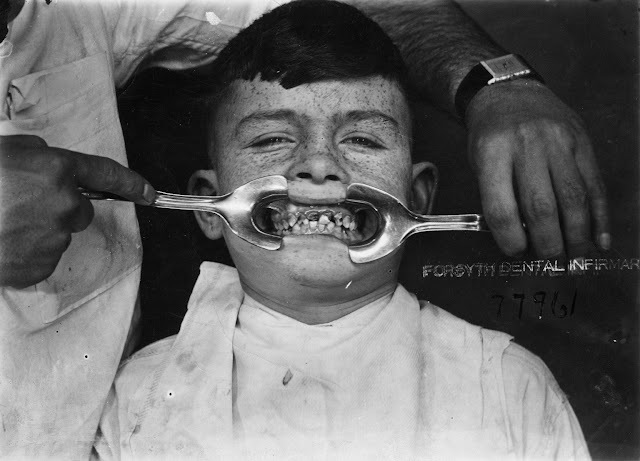 White teeth and fresh breath make all the difference in the world. Yes I know initially the summons and subsequent arrest for the illegal capture and possession of native species in a protected area without a permit can seem like little more than excessive fines and possible incarceration, but it may be the start of a beautiful relationship. You already know how hard it is to find someone who shares your interest in native species. You may have to “save it for the judge”, but you never get a second chance to make a first impression. Nathalie Wissink-Argilaga Lic,Vet, GPCert [ExAP] MRCVS, who is the head of exotics at Scotts Veterinary Clinic in Bedford was kind enough to answer a few questions for Reptile Apartment. Nathalie graduated from the Universitat Autonoma de Barcelona in Spain in 2004. She then completed a 1 year Small Animal internship at Davies Veterinary Specialists. Nathalie started work at The Scott Veterinary Clinic in May 2006. Her special interest is in exotic pets, particularly birds and reptiles. Nathalie holds a certificate in Exotic Animal Practice an is studying towards the RCVS certificate in zoo medicine. RA: As well as treating pets in the surgery, do you keep any yourself at home? Nathalie: I do not keep any exotic pets at the moment, but have in the past. I currently do have two cats that keep me on my toes. RA: How often do you see exotic pets, especially reptiles in your surgery? 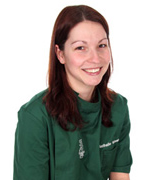 Nathalie: We see exotic pets and reptiles at Scotts Vet Surgery on a daily basis. RA: What would you say is the most common exotic pet or reptile to be treated at your surgery? Nathalie: Bearded dragons, corn snakes, leopard geckos and African grey parrots. RA: And what would you say is the most common problem that you treat? Nathalie: This would definitely be husbandry related problem such as constipation, anorexia and respiratory disease. RA: Vitamin and mineral supplements is said to be the most important part of keeping your pet healthy, would you agree? Nathalie: I would say it is an important part of keeping your reptile healthy but not the only one. It is a joint issues of temperatures, humidity, UV provision and good husbandry in general. RA: What advice would you give to anyone thinking about purchasing a reptile or exotic pet for the first time? Nathalie: I would advise that it is extremely important to read up on how to keep them first and make sure that you can provide the right care for any animal that you are looking to give a home. 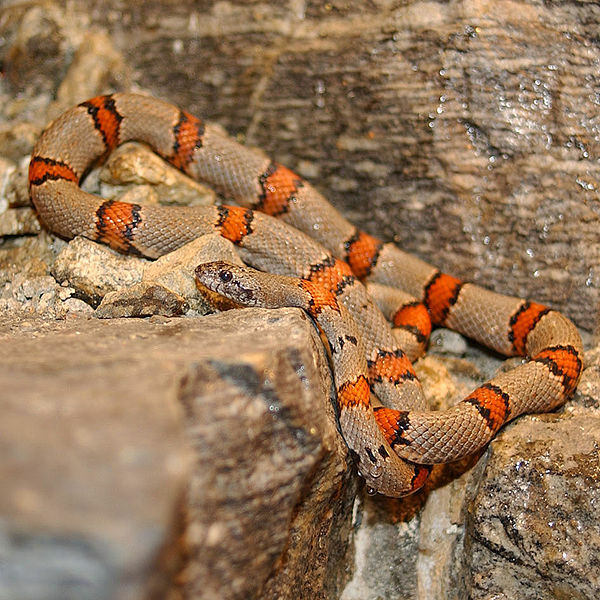 RA: What changes, if any, would you like to see in the exotic pet and reptile industry? Nathalie: I would love to see more informed sellers and buyers and less tendency to increase the amount of species available, some of which are really not suitable for captivity. Thanks so much to Nathalie for taking part in the interview. Please click the pic below to see the Surgeries website and remember that if you do have problems with your exotic pets, there are vets available to help. Some would describe grey as being a shade rather than a colour and Wikipedia describes grey as being colours ranging from white to black, quite a grey area. But when grey is added to the beauty of snakes scales and paired with crimsons and blacks it surely comes into a life of its own. Grey Banded Kingsnakes originate from Northern Mexico and South West Texas where they tend to inhabit rocky areas. They are not a big snake growing up to 4ft and generally a good snake to be kept as a pet. Occasionally individuals may be fussy feeders when young as their natural prey item in wild are lizards. But most will adapt to taking thawed mice. Peter Quinlan of “Unusual Albino Snakes” in the UK is one of the top UK breeders of Grey Band Kingsnakes and is now leading the way when it comes to Grey Band morphs as well as many other colubrids. Peter has been working with developing Grey Banded Kingsnake morphs for around 10 years that he originally acquired from a breeder in the US at which point he had the only UK breeding group. And in 2007 produced the first “SnowBand”. After a few years of breeding the imported snakes to his own collection the offspring have become a much more vigorous colour and have larger bands than their US equivalents.